Observing Mail › Message Sent can be very powerful. Without a condition, you’re executing the automation whenever a message is sent, which could get a little messy. What we want to do is add a condition for item.name Must match exactly: Email Subject. This way the automation only executes if the subject line of the email matches the condition. In the example below, the subject of the quote email is “You’re almost booked!”. Since we are often using email templates, the email subject line can be the same every time. 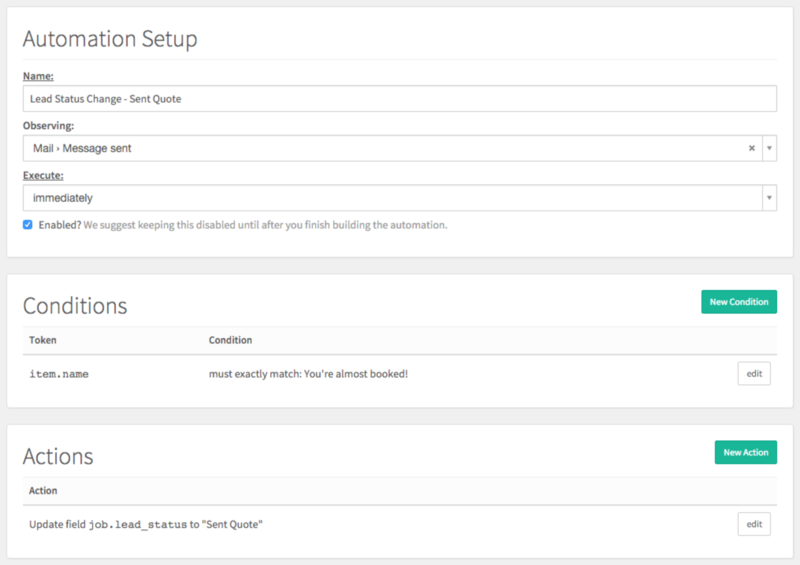 This automation updates the lead’s status to ‘Sent Quote’, when the email is sent.